Having trouble picturing how all this works? Think of a pedicab loaded up with food scraps, instead of people. 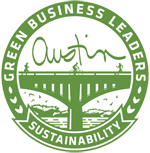 Now imagine a whole fleet of these compost bikes crisscrossing the city, shuttling Austin’s organic scraps to a network of over 20 nearby gardens, instead of to a smelly landfill. This innovative bike-powered compost recycling program is all about connecting the dots between those creating organic waste (a.k.a. everyone), and farmers and gardeners ready to use those scraps to fertilize their crops. But the mission of East Side Compost Peddalers to reduce waste and support local growers doesn’t end with their collection service alone. “We’re here to enrich and empower the community we serve, and a key piece of that puzzle is educating people about organic resource stewardship and local food systems thinking,” says East Side Compost Pedallers CEO Dustin Fedako. With an informal job title, “Compost Education Officer” and over 50 composting workshops under his belt, Dustin takes his role as a teacher seriously. A quick glance at the numbers makes it equally clear that when it comes to waste, we could all use a little re-education. A staggering 251 million tons of garbage is sent to landfills each year in the United States alone. While the good news is about one fourth of our waste stream is compostable, the challenge lies in educating stakeholders about what compost is, why it is important, and how to compost it successfully. To help equip the next generation with the knowledge required to tackle this daunting problem, East Side Compost Pedallers and EcoRise Youth Innovations have partnered with Austin Independent School District (AISD) to pilot a teaching compost system at Kealing Middle School with hopes of one day adding compost education to the gardening program of all Austin-area schools. 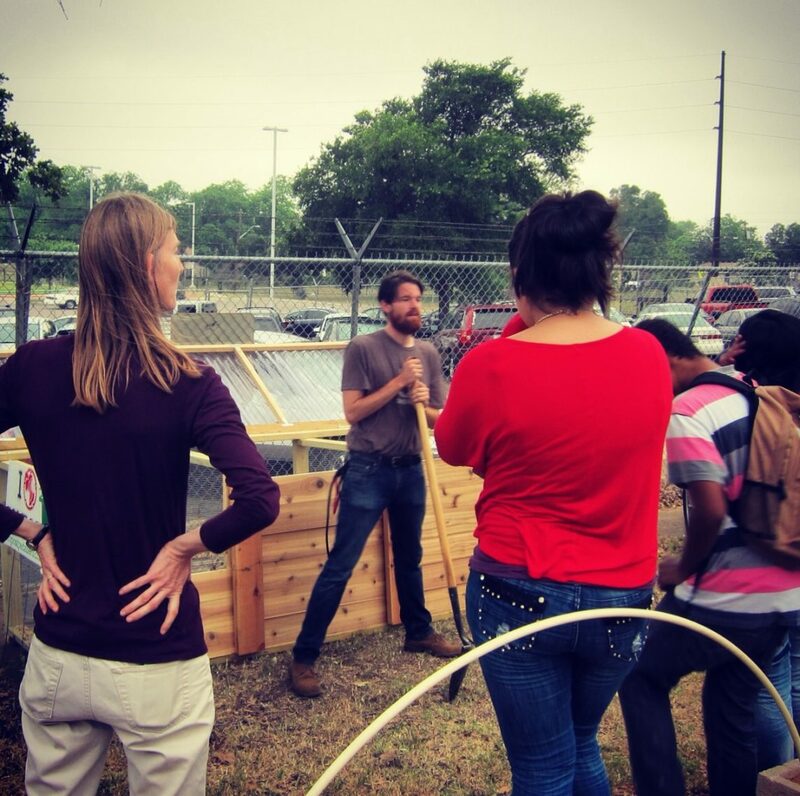 Enlisting the help of students, parents, and teachers, East Side Compost Pedallers has designed and constructed a three-bay composting system to complement Kealing Middle School’s gardens. The program is simple: the Pedallers deliver a steady source of food scraps from the surrounding neighborhoods, and the students are responsible for managing the entire process of decomposition and eventually harvesting the finished compost to use in their school garden. The tactile experience of taking temperature readings, turning compost piles, and watching banana peels transform into dark black soil amendment will be rounded-out with a classroom unit on waste and recycling. This project provides students with a truly unique educational opportunity. It also helps connect schools to their surrounding community, and represents another community composting solution for our City’s organic waste. Do you know of a school that would be a good candidate for a compost education program? Contact Dustin (Dustin@compostpedallers.com), or EcoRise Program Director Jonathan Stott (jon@ecorise.org).